Regenerative medicine is one of the hottest topics in biomedical science right now. Multiple labs are using inventive approaches to try and find ways to create body parts in the lab. In the United States alone, there are over 120,000 people currently on the waiting list for an organ transplant, and an estimated 22 people die every day waiting for organs. In the face of this great demand, scientists have turned to the lab to try to build organs and thus eliminate the need for donors. So far, there has been great progress made towards this goal. Labs across the world have worked to grow livers, kidneys, and even superficial organs like ears and noses using human stem cells. The invention and development of 3-D printing techniques have made this process even simpler, as the size and shape of the tissue can be customized based on the needs of patients. However, one large roadblock for this so-called “tissue engineering” has been the issue of building the blood vessels necessary for getting blood, oxygen, and nutrients to the engineered tissues to keep the cells alive. Because of the tiny and intricate nature of capillaries and their branching, reconstructing these vessels with 3-D printing has been difficult to do. 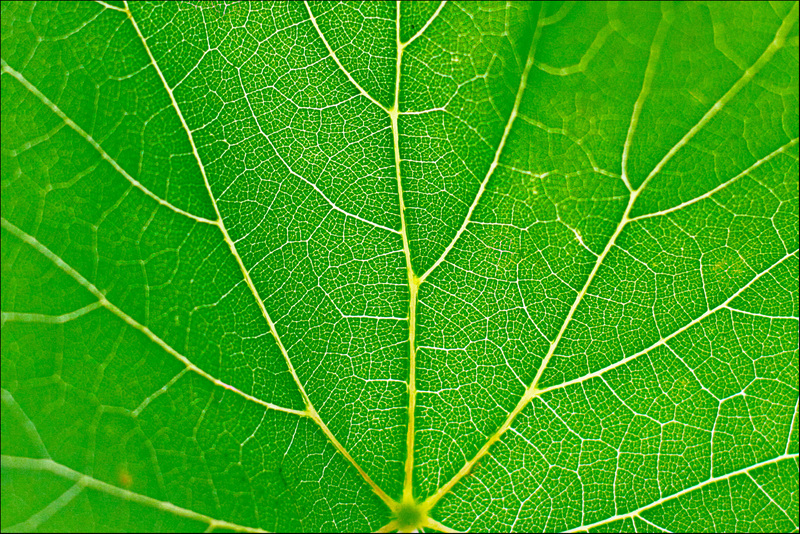 A group of scientists at the Worcester Polytechnic Institute (WPI) in Massachusetts led by Joshua Gershlak looked for a way to address this need and found inspiration one day over lunch: the intricately branching veins (nutrient-carrying tubes) found on spinach leaves were surprisingly similar to the branching of blood-carrying capillary networks in human tissues. Just as blood vessels work to deliver oxygen and nutrients to the cells in our bodies, the branching veins on spinach leaves serve essentially the same function of delivering water and nutrients to individual cells. Based on this idea, the scientists planned to test whether they could turn a simple spinach leaf into heart tissue complete with blood flow. 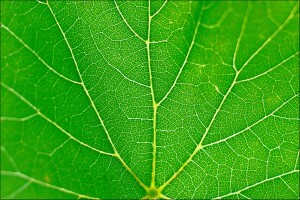 The first step in this process was to remove all of the plant cells from the leaf, leaving just a cellulose frame in the outline of the leaf and its veins. Next, the frame was surrounded by live human cells, which stuck to the leaf frame and surrounded the veins. Just five days after adding the human cells, the group saw that the cells surrounding the leaf began to contract together – confirmation that they had essentially made a tiny, leaf-shaped, beating “heart”! Then came the real test: can this “heart” and these “veins” really pump blood? Gershlak and his team confirmed that the leaf veins were indeed big enough for blood cells to pass through, using similarly-sized microbeads that successfully flowed through the vein network. They also tested the veins using a red dye that easily spread throughout the tissue, coloring the tissue to look exactly like blood flow between cells. Gershlak has said that by perhaps using multiple leaves connected end to end, they could create a network of veins that could help blood flow away from and then back to the heart. Although their research is still in the very early stages, Gershlak and his team at WPI have high hopes for their findings. They have also found that they can use other leaves, parsley stems, and peanut hairy roots for their experiments, and have bright ideas about perhaps one day using wood to build bones, or even using cauliflower to build lungs. This is not even scientists’ first attempt to turn to nature to build organs and limbs – a team in Ottawa, Canada recently showed that they could literally carve ears out of apple slices! Scientists still have many questions about how to make their tissues as realistic as possible, but one thing seems clear: farmers may have a very important role in organ “transplants” in the not too distant future!